The Dwarven Hold of Valdisfjell, deep beneath the Old Mountain, has a long and glorious history. 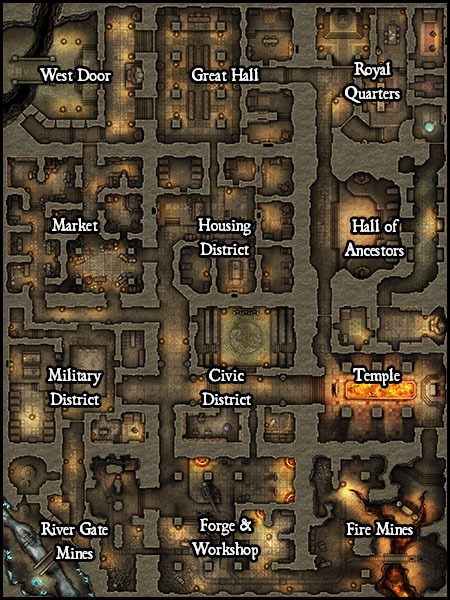 The Dwarves here live in communal housing districts, with shared areas for eating and leisure, and large dormitories where several families live alongside each other. 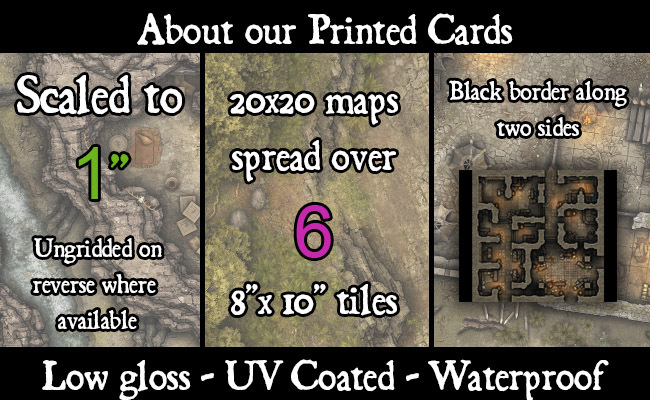 Contents: A 20 x 20 battlemap depiciting a Dwarven housing district within a subterranean Hold. Bedrooms, dining areas, supplies and communal dormitories make up the area. 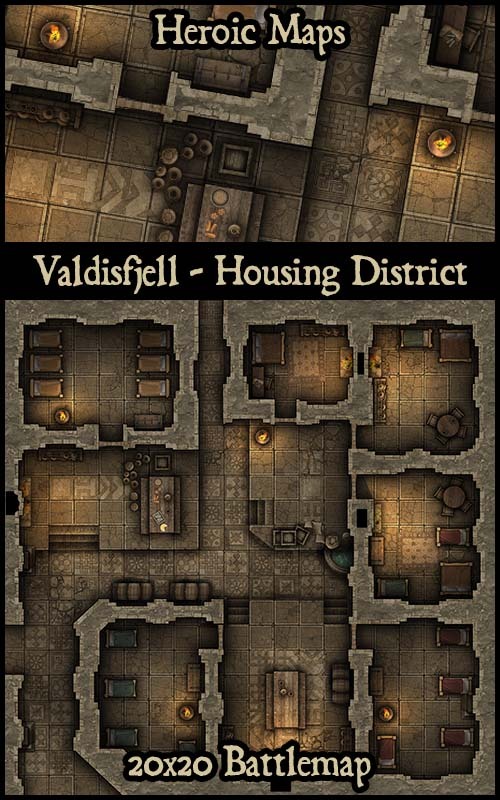 The map builds with others in the Valdisfjell range to make a large Dwarven Hold. Also included is a 300dpi full size jpg, for poster printing or VTT & 72dpi 140px VTT ready files.